Constructed in 1871, the First Presbyterian Church of Goshen in New York is purported to be the tallest standing structure in all of Orange County. 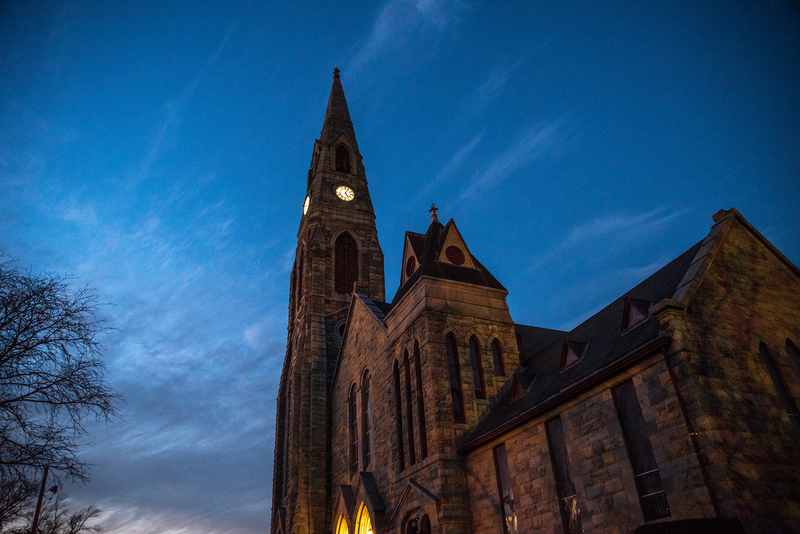 With its impressive steeple that stands well over 185 feet, it accommodates the Village Clock. When the church congregation decided to enhance and upgrade the clock lighting, they engaged with the architectural & engineering firm of LAN Associates, who collaborated with Liberty Lighting Group, Inc. and selected Tempo’s C3S Serpentine LED Linear Accent Lighting to illuminate the clock tower’s four opaque glass faces. Designed with Tempo’s innovative modular CLiP® (Configurable Lighting Platform) technology, the highly flexible C3S product was an ideal solution for this curved application. In keeping with the community’s spirit of collaboration, the flexible 12 volt LED linear luminaire was installed with the support of volunteers from the congregation. Consequently, the spacing of the C3S lights eliminated obvious hotspots from the previous compact fluorescent lamps. The end result: An elegant and uniform delivery of illumination and dramatic enhancement of the iconic church edifice. Optimizing energy consumption and minimizing maintenance were also key priorities for the project so representatives from Liberty Lighting Group provided recommendations for different lighting approaches with a preference being placed on the use of energy efficient LED lighting. The solution selected was the use of a 12-volt flexible LED linear lighting system with a dimmable remote driver. The luminaire was fastened to a flexible PVC pipe installed behind the clock face. The energy consumption was reduced from 600 watts to less than 64 watts per clock face – less energy than one incandescent lamp – with no maintenance requirements for more than 15 years. C3S product an ideal solution for curved back light application.